from the Conversation, a fascinating look at the role the smart phone apps for disasters can help, or not, in times of crisis. Another reason why we recommend that all CERT members become amateur radio operators. When a terrorist struck Nice, France, on July 14, a new French government app designed to alert people failed. Three hours passed before SAIP, as the app is called, warned people in and around Nice to the danger on the city’s waterfront during Bastille Day festivities. This aspect of the tragedy highlights an emerging element of disaster preparation and response: the potential for smartphone apps, social media sites and information technology more broadly to assist both emergency responders and the public at large in figuring out what is happening and what to do about it. A group I am in, with researchers from varied disaster-response backgrounds (including military, urban, wilderness and hospital service), has surveyed what’s already available on the market and found smartphone apps that can help providers and the public alike. Some help medical professionals deal with ordinary day-to-day work, viewing guidelines and medication databases, performing calculations, remotely monitoring patients’ vital signs and displaying radiology images. Others can help responders deal with chemical, biological, radioactive, nuclear and explosive disasters, which is useful for members of FEMA teams like the one I’m on. 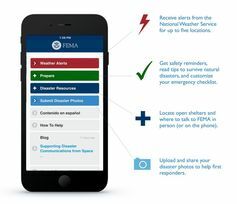 Apps for the public help them prepare for disasters, notify them of imminent problems, reconnect them with family members, and even help keep track of pets during emergencies. But as the failure of the French app during the Nice attack illustrates, communication is almost always a problem during disasters – no matter what kind of problem it is: weather-related, an attack of some kind or even just a power outage. Effective communication, such as an evacuation alert as a hurricane approaches, can save lives. Unfortunately, as we saw during Hurricane Katrina, disasters can themselves cause damage resulting in communications breakdowns. This problem is best solved by emergency planners using the same strategy individuals figured out for themselves in Nice: create multiple independent systems to ensure connectivity. In disasters, many emergency responders already anticipate communication failure and employ multiple systems. Hospitals, for example, handle most communication with paging systems and in-building intercoms. If those go down, doctors, nurses and other staff can reach each other on their cellular phones. Should those fail, many hospitals keep closets full of radios charged and ready for use. This principle holds true for social media and smartphone apps, too. The SAIP app’s failure was due in part to its developer’s lack of attention to redundancy, according to French news reports, as well as an accidentally severed fiber-optic cable and a software error. Although the SAIP app failed, citizens were able to communicate via social media. Citizens of Nice took to Facebook to use its Safety Check feature to post that they were safe, and to make sure friends and family had checked in OK. This type of organic social media communication also happened after the Boston Marathon bombing: People near the explosions quickly posted Twitter messages identifying the location and specifics of events, as well as their own whereabouts and safety. Most of the newest technologies in communication and disaster response employ this crowdsourcing technique. 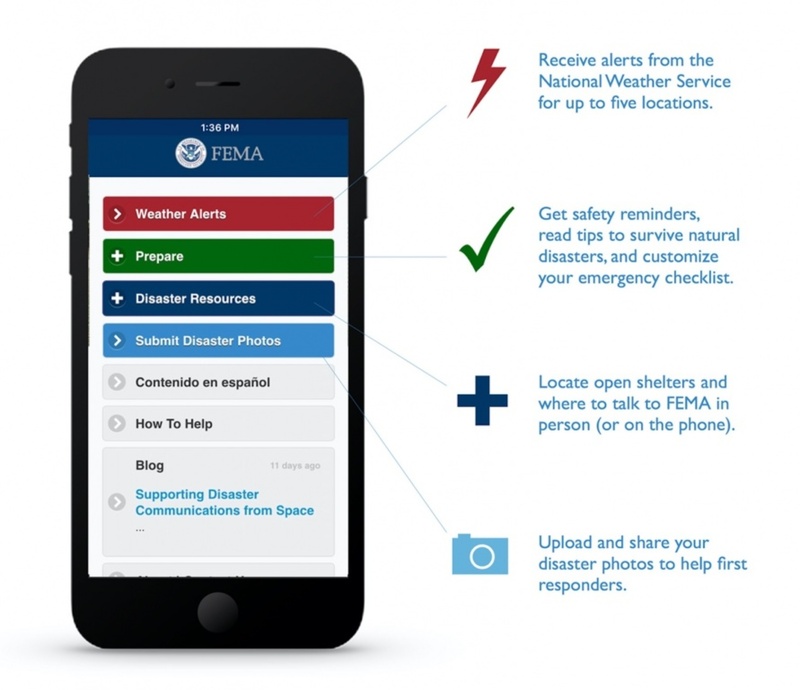 The FEMA app allows users to upload pictures and information about disasters, in addition to sending out information from the National Weather Service and other government agencies. The ubAlert - Disaster Alert Network App works similarly, saying in its promotional material that it can “create the world’s largest, most reliable, all-hazard disaster alerting network by combining data from global institutions and data providers with crowd-sourced user accounts.” Many regional apps operate this way too. For example, the government-run Safer Ohio App has a “see something send something” function, allowing users to send in information about suspicious activity or even dial 911 directly from the app. Had the SAIP app been similarly equipped, its users could have been more rapidly informed by fellow citizens, despite the delay in the official notification process. When we did our analysis of smartphone apps for disasters, we found that many of the apps aimed at use by emergency responders did not use much communication. Rather, they were reference materials, such as guidelines for medical triage or references on infectious agents. 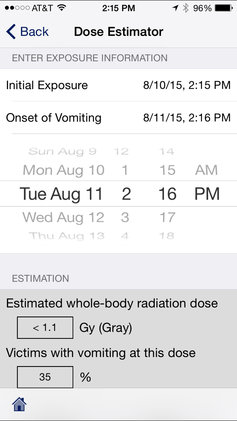 For example, the WISER app from the National Library of Medicine is designed to assist first responders to emergencies involving hazardous materials. It offers information about various substances from the National Library of Medicine Hazardous Substances DataBank. However, new apps are increasingly including communication features. In addition to connecting users to each other, they can ensure reference material is up-to-date. These functions primarily rely on Wi-Fi, cellular data or Bluetooth connections. Smart app developers are including redundancy, like in the American Red Cross apps. Its Flood app, for example, lets users notify others they are safe via social media, text message and e-mail. Beyond building communications redundancy into apps, some companies are building systems that will allow responders and the lay public alike to communicate without cellular data or Wi-Fi. An app called FireChat, for example, can connect nearby phones directly via Wi-Fi or Bluetooth. This allows the users to create their own network. According to FireChat’s developer, Open Garden, the app can combine multiple devices to create a real network, passing a message from one to the next until it reaches the intended recipient. This type of system can be an excellent substitute in situations where normal communications capabilities are limited. This approach doesn’t just involve smartphone applications. 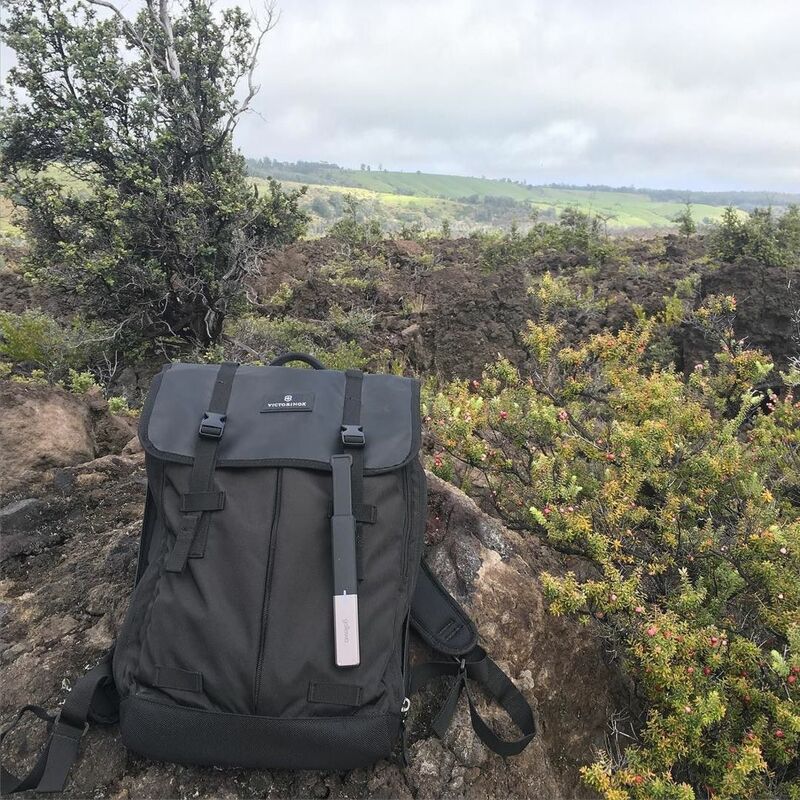 A device called a goTenna can connect to a smartphone via Bluetooth and communicate with other goTenna users up to several miles away. 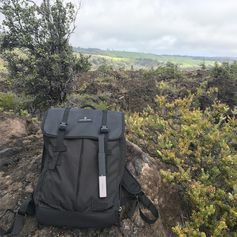 This works only between people who have goTenna devices, but is another way people can create what the company calls “people-powered” networks that do not need towers, routers or satellites. The obvious downside is that only people with the devices are able to communicate – having just one during a disaster is not enough, and in fact the company only sells them in pairs. In addition, there are devices emergency responders use that are also available to the public. Some members of my FEMA team use a Delorme inReach Communicator, which allows users to send text messages over the global Iridium satellite network. It’s expensive, but in major disasters it is a potentially valuable backup link. When communications break down in a crisis, it’s a problem for emergency responders and regular people alike. With more reliable connections, responders can be better informed about the situations they’ll face, the public can be notified of ways to help and how to avoid further problems. Sadly, disasters will keep occurring. But the future is bright for improved communication when they happen. It’s even possible that someday smartphones may be able to monitor the environment automatically and contribute to disaster alert systems on their own.